The 2019 Honda Pilot has all it takes—brains and brawn—to help you navigate comfortably around the city, regardless of the weather and road conditions. This mid-size crossover SUV sees numerous changes for the new model year and has a starting MSRP of $41,090. These changes include a new, bold exterior styling update, powertrain refinements, technology upgrades (including a new touchscreen system), and an available hands-free power liftgate. The Honda Pilot is in Edmonton and ready to take you on a terrific adventure with an all-new, Canada-exclusive Pilot Black Edition model. 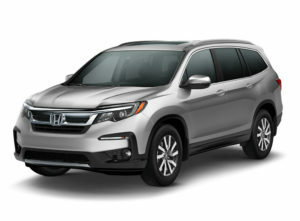 Read on with us at Alberta Honda to learn more about the 2019 Honda Pilot. New to the 2019 Honda Pilot is the latest-generation Display Audio system from Honda. 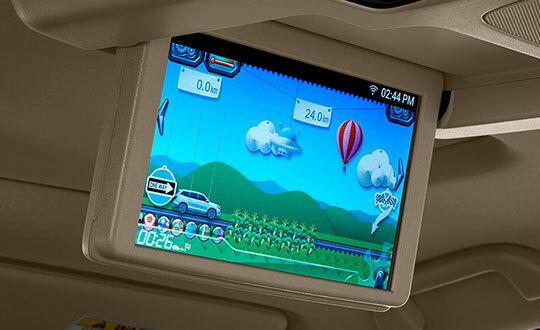 This touchscreen-based infotainment system includes Apple CarPlay™ and Android Auto™ integration as standard, and builds on Honda’s award-winning tablet-like, intuitive interface. Available for the new Display Audio system is our Satellite-Linked Navigation System that utilizes detailed three-dimensional graphics and displays to guide you. Information including highway signage, speed limits, estimated arrival times, and lane guidance are also included. 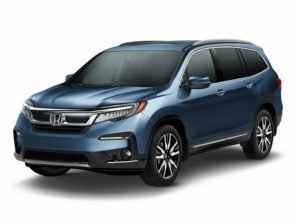 For those riding in the back seats, Honda also has an available DVD or Blu-ray rear entertainment system with a 9-inch display, integrated remote control, wireless headsets (with personal surround sound) and input options for HDMI devices. The 2019 Honda Pilot features bold front and rear styling that’s more robust and aimed towards the Canadian expectation. The design changes emphasize the Pilot’s versatility, all-weather capability, and unique style. Inside, the new 2019 Pilot has seating for up to 8 people in all of the comfort expected of a premium vehicle, without the premium pricing. Technology and comfort are integrated into the ergonomics of the Pilot’s design to maximize daily use, comfort, and long road trip adventures. Exclusively available in Canada is the new Pilot Black Edition trim. This trim level features black accenting, black wheels, darkened headlights and tail lamps, and red ambient lighting and stitching inside its leather-upholstered interior. 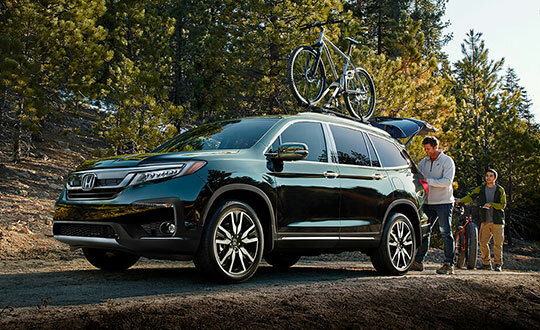 Contact us at Alberta Honda if you have more questions about the new Honda Pilot. Also stop by our dealership to take this vehicle on a test drive.